Remember when the Obama administration was urging the Egyptian government to restrain the security forces against peaceful protesters® and their fundamental freedom of protest, association and assembly? Well, that was January 2011, when former Egyptian president Hosni Mubarak was beginning to look an inadequate leader, failing to meet the Egyptian people’s aspirations, yearning for democracy and all that beautiful human rightsie stuff. Now that Egypt has finally come full circle and is currently ruled by a military government that is cracking down on protesters, jailing activists and journalists, sentencing to death supporters of the previous government by the hundreds and intimidating broadcasters, the Obama administration can cheerfully announce that it “looks forward to working with [unelected] leader – and former army chief – Abdel Fattah al-Sisi”, and non-chalantly proceed to resume military aid to Egypt to the tune of $575m, not to mention supplying it with 10 Apache helicopters. Business as usual. Now, considering that Iraqi government airstrikes have already killed 7 civilians, one can only expect casualties to escalate if the US military gets involved. The plan to break up Iraq along sectarian divides comes from far away, as shown in this map, prepared by Lieutenant-Colonel Ralph Peters and published in the Armed Forces Journal in June 2006. For example, Mahdi Darius Nazemroaya showed how the US invasion of Iraq in 2003 succesfully transformed previously cohesive neighbourhoods in Baghdad into areas where Shia and Sunni communities could no longer live side by side (53′ 35”). It looks like the group called ISIL is the designated tool to bring about this fragmentation which, surprise-surprise, is playing into the hands of US-based global planners. That’s right because, despite all the anti-ISIL rhetoric we are hearing from the US, it is useful to remember that only a year ago, US representatives did not hesitate to pose next to these “proud warriors”, which were being trained by the US in a secret base in Jordan. William Engdahl has recently published an editorial where he describes the puzzling docility with which Iraqi forces were simply surrendering and handing their weapons to members of the ISIL when the latter took over Iraq’s second largest city Mosul, as witnessed by journalists present at the scene, which suggests that the incident might have been scripted. Incidentally, the group’s full name is al Dawla al Islamiah fil-Iraq wa al-Sham which, as you might have noticed, does not feature the word Surya (Syria) anywhere: a little fact that did not stop mainstream media from assuring us last year that this group was all about Syria, at the time when it was trendy, when in fact Iraq was probably the main target all along. However, one would have to be really naïve to expect these air raids threatened by Obama not to extend into Syria, now that the destruction of Assad’s chemical stockpile is complete and the US is itching to find another pretext to bomb Syria. Israel, for one, has already started, bombing nine targets inside Syria and killing four people, ostensibly as a retaliation from a cross-border attack that had taken place the day before, claiming the life of an Israeli teenager. And, while we are on this topic, the search for the missing Israeli teenagers continues, on the assumption that they were kidnapped, even though no one has yet come forward claiming responsibility. Now, aside from wishing for the safety of the boys, much could be said about this news item, beginning with the collective punishment Israel has already inflicted on West Bank residents, including the killing of five Palestinians and the arbitrary detention of 37, or the fact that Israeli forces routinely kidnap Palestinian teenagers and keep them in administrative detention – that is without charge. A figure is provided by Khiam Rehabilitation Center for Victims of Torture: according to their latest available figures, referring to April 2014, 196 Palestinian children were in administrative detention at the time. The mother of one of the Israeli boys, Rachel Frankel, was given the opportunity to speak before the UN Human Rights Council in Geneva by the “NGO” United Nations Watch (its director and Zionist lobbyist Hilel Neuer can be spotted on the left). Correctly, Ms. Frankel points out that International Humanitarian Law prohibits the taking of hostages, and that it is wrong to take innocent boys and girls and use them as instruments in any struggle. All these statements are of course applicable to all those Palestinian children, who remain anonymous on Western mainstream media, and whose hobbies and skills are not usually listed for the public’s benefit. (1) blame Hamas for the kidnapping and – by osmosis – Fatah for not disbanding this unity government: Israel has of course always been concerned with this type of “peace offensives”, much as it was in 2007, when spokesperson Mark Regev was going around telling anyone who would listen that Israel condemned the newly formed Hamas-Fatah unity government at the time, and encouraging the international community to boycott it. This incident is a great pretext for threatening military action if Abbas does not comply. The writing is on the wall for anyone who has seen no less than a Ministry of Defence delivering a statement to the press. (2) divert the world’s attention from the 1,500 new housing units it has just approved in the illegal settlements Ramat Shlomo (East Jerusalem) and others in the West Bank. Incidentally, this hs been happening for years with the predictability of a traffic light: October 2013: 1,500 new housing units in Ramat Shlomo. December 2012: 1,500 new housing units in the same area. May 2011: 1,500 new housing units in Pisgat Zeev and Har Homa, etc. Does the number 1,500 hold some kind of cabbalistic value? 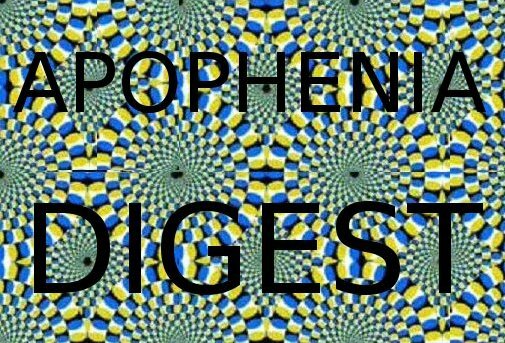 This entry was posted in Apophenia Digest, Articles, Coloured Springs, Egypt, Iraq, Israel - Palestine Conflict by apophenia. Bookmark the permalink.